The Tri-State Wheelchair Athletic Association (TSWAA) is dedicated to foster disabled individual independence through Sport. 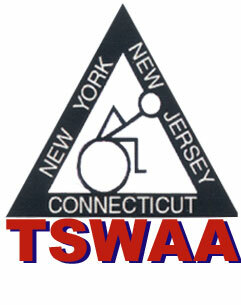 Chartered to operate in the Connecticut, New York and New Jersey areas, TSWAA offers a structure for disabled teams and individuals to compete in multiple sports. Tri-States offers disabled athletes the opportunity to participate in multiple sport opportunities in many sports. Click the sports button below for more information.